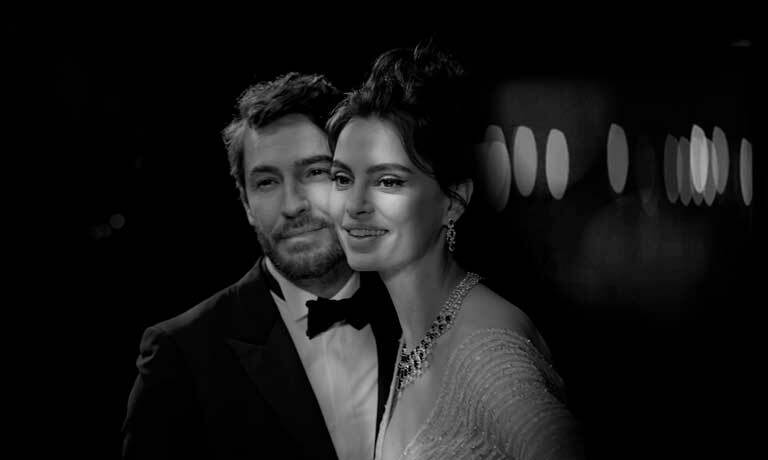 Chopard forms a glittering duo with the Cannes Film Festival, which it has been partnering with since 1998. In addition to crafting the legendary Palme d’Or in its workshops along with all the trophies to be handed over at the closing award ceremony on May 19, and to adorning the stars for the traditional “Montée des Marches” ritual thanks to the magnificent Red Carpet Collection, the Maison also awards up-and-coming film-making talents with the Trophée Chopard as well as organizing unforgettable annual parties. This year once again, Chopard is set to dazzle and to bring its own inimitable sparkle to the Festival. For the past 20 years, Chopard has been expressing the quintessence of glamour by creating unique styles worn by the greatest film stars. Charlize Theron, Cate Blanchett, Julianne Moore, Sharon Stone, Gwyneth Paltrow, Hilary Swank, Marion Cotillard, Léa Seydoux, Penélope Cruz, Scarlett Johansson, Lupita Nyong’o, Freida Pinto, Fan Bing Bing, Zhang Ziyi, Isabelle Huppert, Catherine Deneuve and Jane Fonda, to mention but a few, have all climbed the famous steps adorned in Chopard jewelry. Certain images remain etched in our collective memory. Many will notably recall Angelina Jolie in 2007, resplendent on the red carpet wearing a yellow gown enhanced with daffodil diamonds. 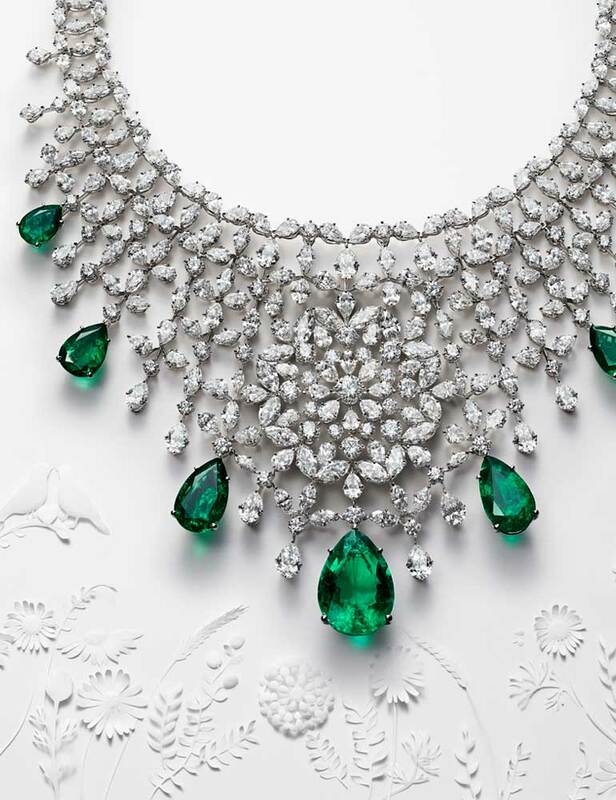 And how could one forget the natural and disarming beauty of Julia Roberts, on her first appearance at Cannes in 2016, strolling around barefoot with her décolletage lit up by a necklace set with a magnificent emerald? As the historical partner of the Cannes International Film Festival, the Maison Chopard – under the influence of its Co-President and Creative Director Caroline Scheufele – has consistently affirmed its unconditional love of cinema. Each year, the Trophée Chopard, created in 2001, highlights the up-and-coming generation of the international film industry and shrewdly wagers on the talents of tomorrow by rewarding both a young actress and a young actor, who are ready to shine on the silver screen. From Audrey Tautou to Marion Cotillard, who won an Oscar in 2008 for her performance in Olivier Dahan’s La Vie en Rose, to Léa Seydoux and Adèle Exarchopoulos, the lead actresses in Blue is the Warmest Colour and with whom director Abdellatif Kechiche shared his Palme d’Or in 2013, to Shailene Woodley, Ezra Miller and John Boyega, actors who have triumphed both in indie movies and in blockbuster productions: all these laureates have confirmed their promise by embarking on brilliant life-changing careers. As the Cannes International Film Festival approaches, the High Jewelry workshops of the Maison Chopard are giving life to a splendid collection dreamed up by Caroline Scheufele. An anthem to femininity and beauty, these exceptional jewelry creations will adorn the greatest actresses on the red carpet, making Chopard an inescapable lodestar when it comes to glamour. 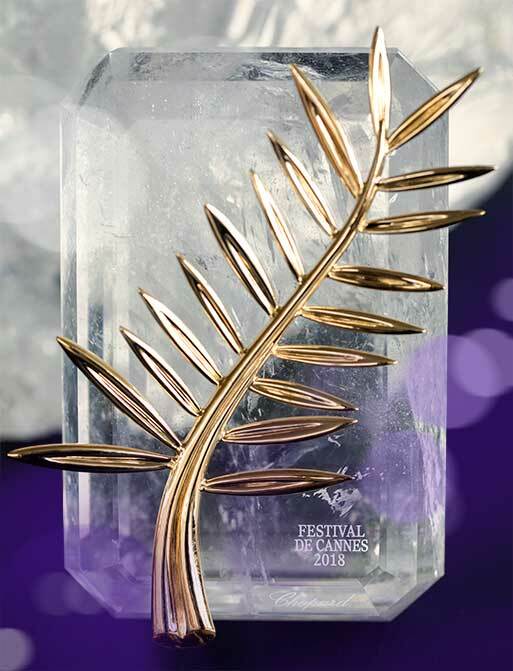 Coveted by every film director on the planet, the Palme d’Or honours the best film of the Cannes Film Festival. 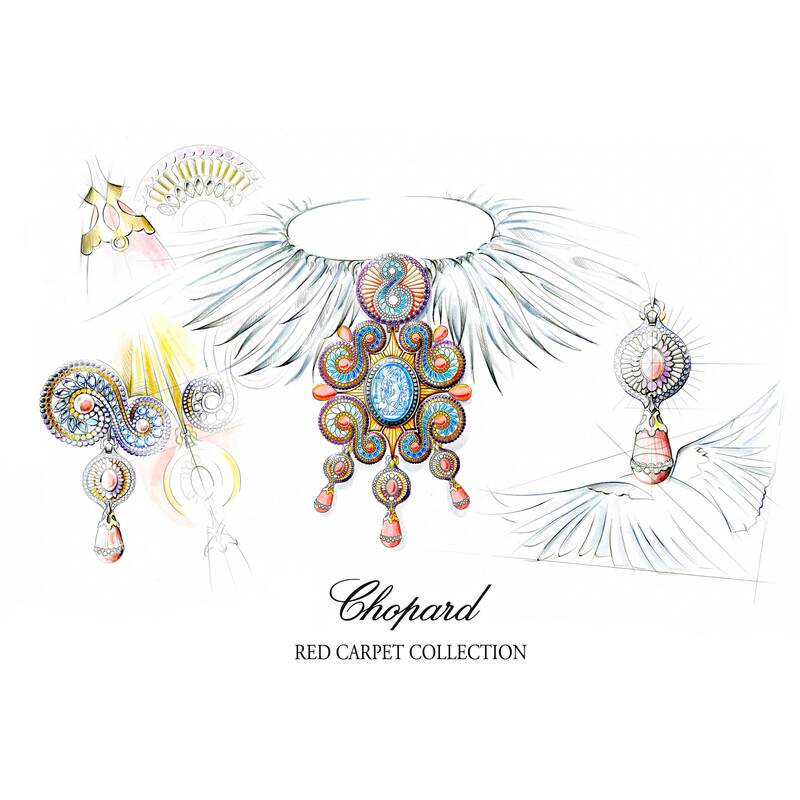 Redesigned in 1998 by Caroline Scheufele, it has since become a radiant symbol of a love story uniting Chopard with the most glamorous film festival in the world. A testimony to the Maison’s commitment to sustainable luxury, the Palme d’Or is meticulously made each year with Fairmined-certified ethical gold in its Haute Joaillerie workshops. 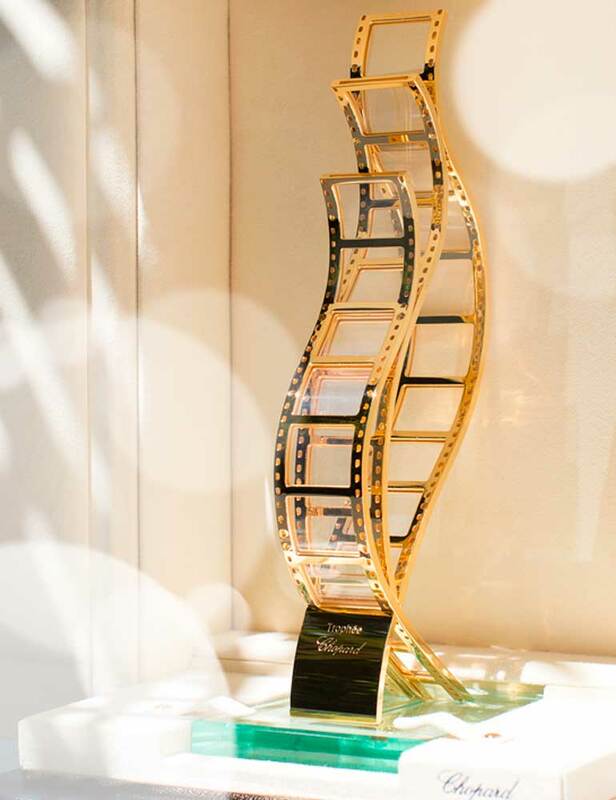 This year brings a first, since in addition to the Palme d’Or, the workshops of the Maison will produce every single trophy to be presented at the Cannes Film Festival closing ceremony, making Chopard the artisan of all these official prizes that catalyze such a wealth of emotions. The Red Carpet Collection 2018 is inspired by the many trips and dreams of its creator. Year in and year out – like the members of her family who used to crisscross the globe with trunks full of precious merchandise, journeying as far as the court of the Tsar of Russia – she tirelessly tours the many countries in which the family Maison’s creations are present. These peregrinations are a perpetual source of inspiration for Caroline Scheufele, who jots down and sketches her impressions in her travel diaries. With the Red Carpet Collection, she invites us into the secret world of her reveries and personal intuitions, offering a delightful, generous and mysterious revelation. She is inspired by anything and everything: architecture, art, literature and cinema. A tiny detail is enough for this fervent gem lover to dream up the most splendid – and above all most ingenious – adornments. Nature also remains a powerful source of fascination for her creative mind. Every year since 2007, Chopard’s Co-President and Creative Director Caroline Scheufele has been imagining a Haute Joaillerie collection taking up the extraordinary challenge of releasing a number of jewelry styles equivalent to the edition number of the Festival. Stemming from her boundless imagination and from the peerless mastery of diverse skills within the Chopard workshops, a complete collection of 71 creations will be produced this year, dedicated to the world’s greatest actresses for their red carpet appearances. Since 2014, the Palme d’Or has been crafted with Fairmined-certified ethical 18-carat yellow gold, reflecting the responsible approach the Maison has undertaken with its Journey to Sustainable Luxury. 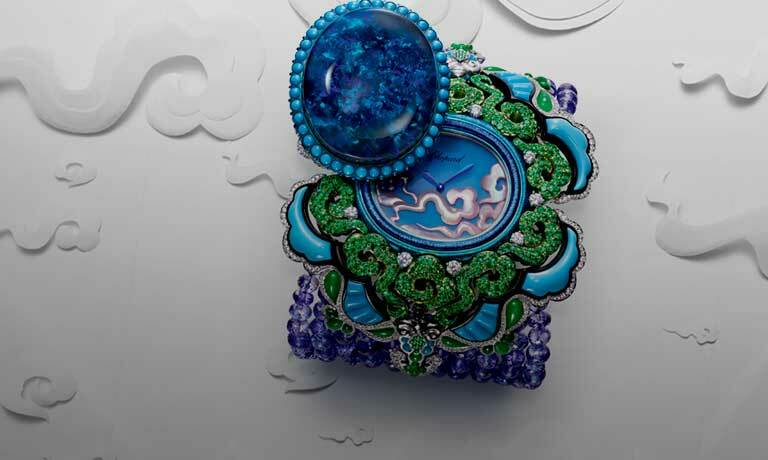 By endowing the famous award with this aura of eco-responsibility, Chopard is writing a new chapter in its history, firmly asserting its determination to work on behalf of civic-minded luxury that is respectful of human beings and the environment. 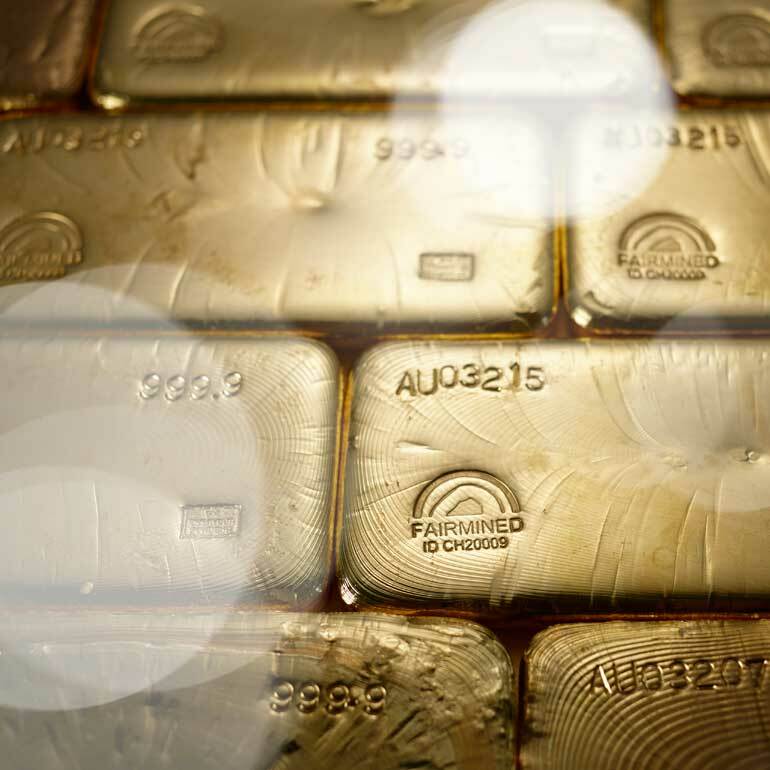 Keen to take this approach as far as possible, Chopard will – as of July 2018 – be using exclusively ethical gold in its watch and jewelry creations, thereby confirming its pioneering role in the field of responsible luxury.